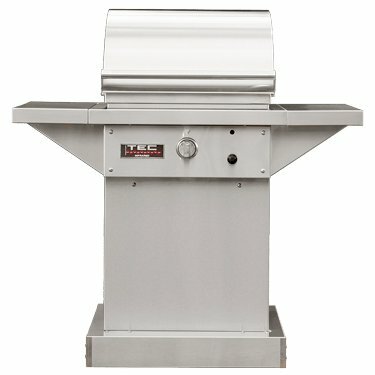 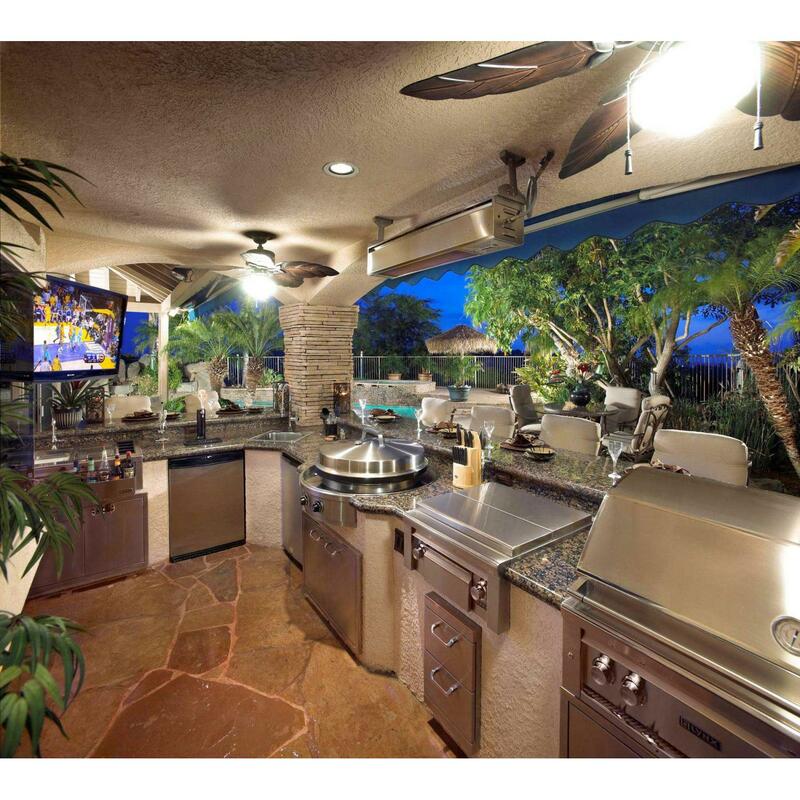 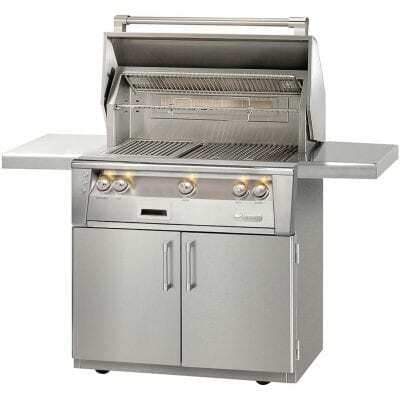 The Evo Affinity 30G Drop-In Flat-Top Gas Grill is the perfect solution for outdoor kitchens where the emphasis is on social cooking. 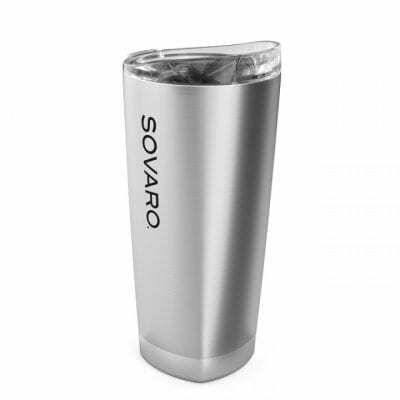 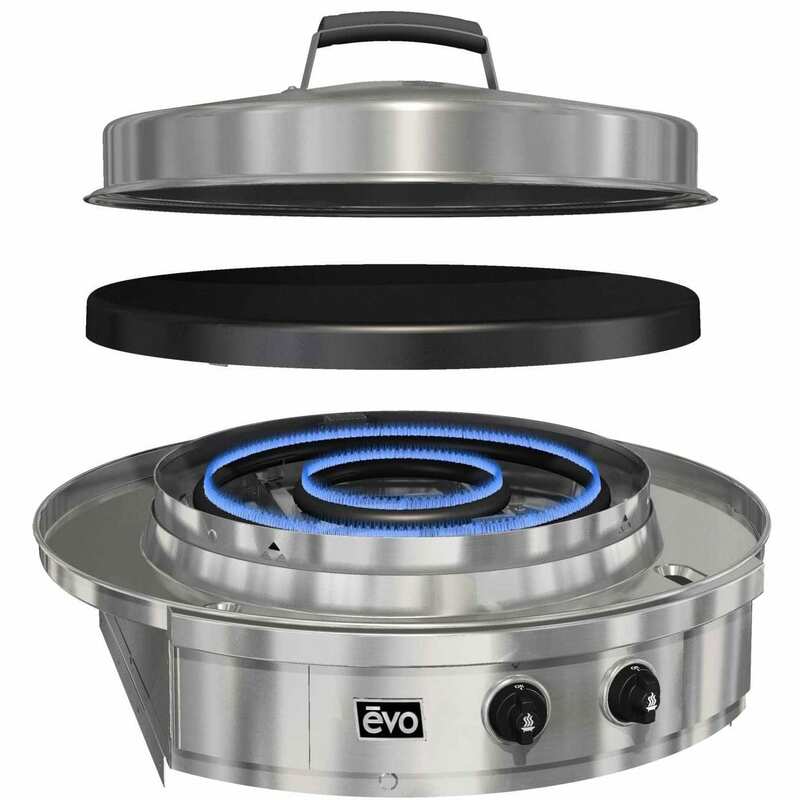 Foods can be prepared directly on the cooktop, and either separately or simultaneously, pots and pans may be used as in traditional stove top cooking. 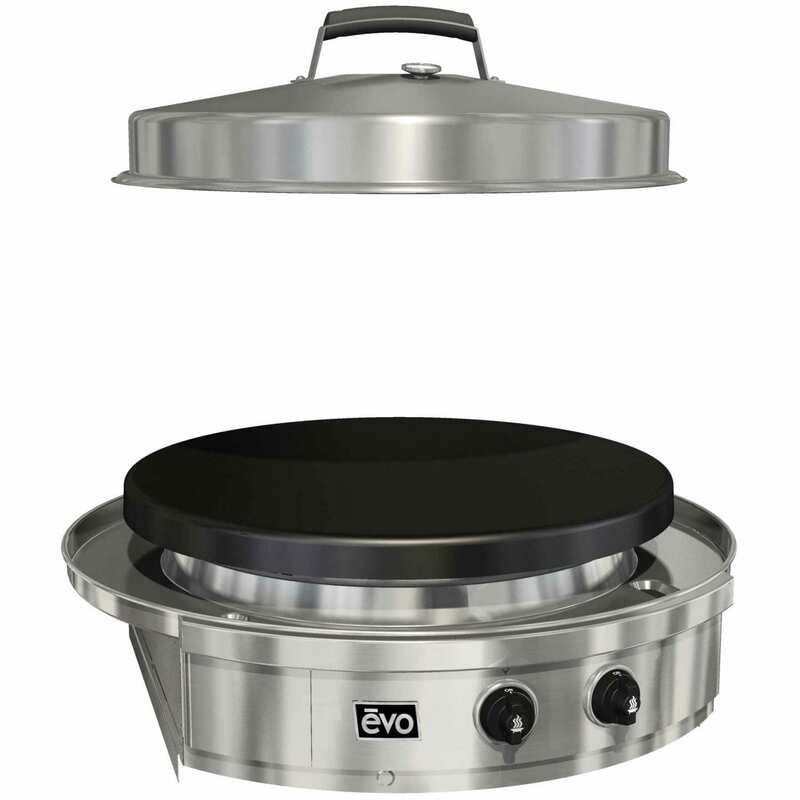 The Evo Affinity 30G Drop-In Flat-Top Gas Grill has a 30” (762mm) diameter black oil-seasoned steel (optional ceramic-clad cook surface available) heated underneath by inner and outer gas tube burners. 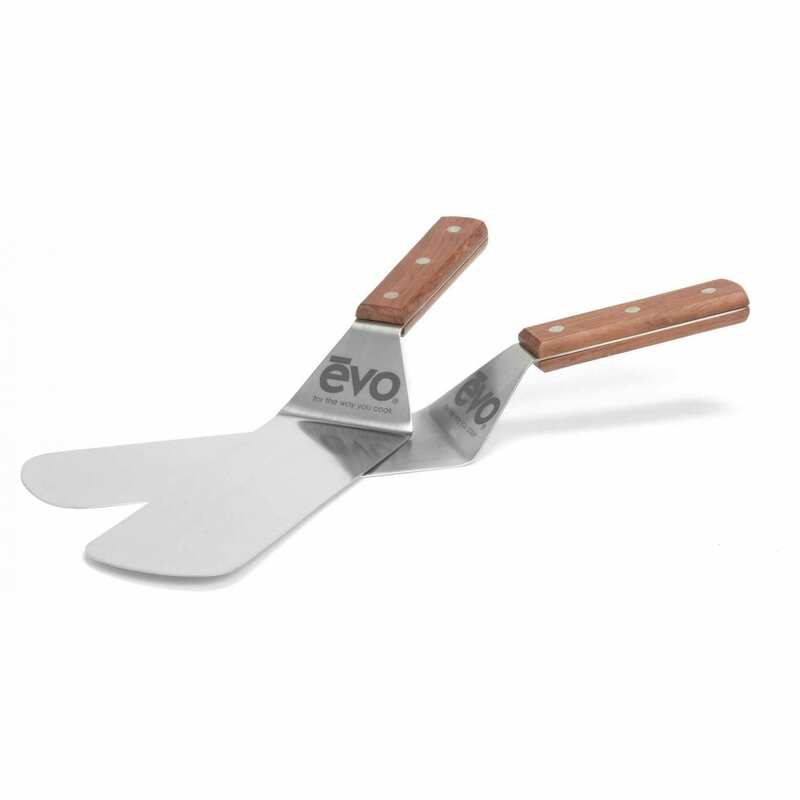 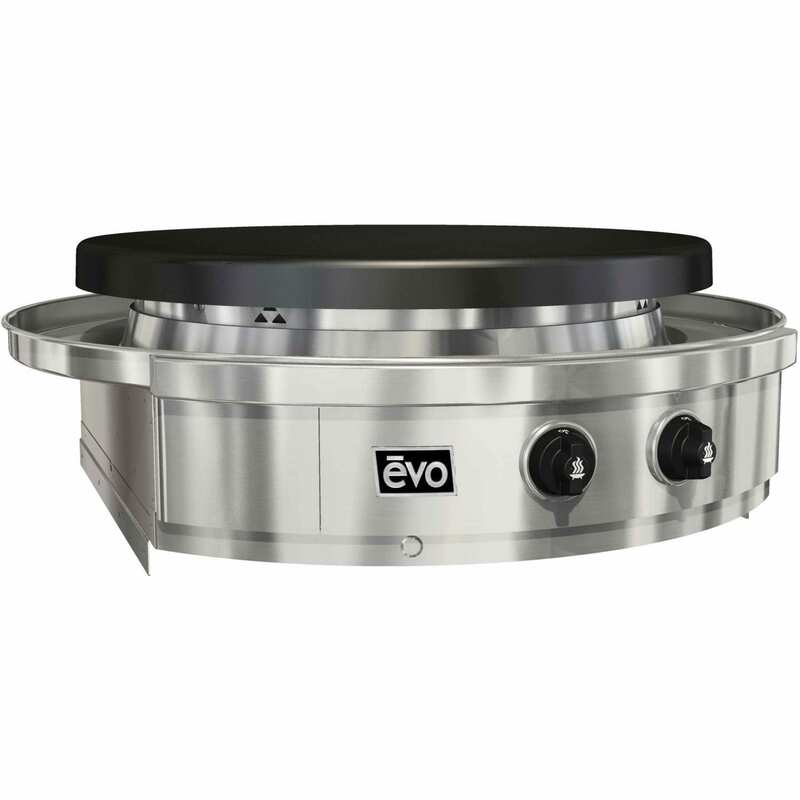 Evo’s technology allows independent heat adjustment across inner and outer cook surface zones for managing a wide range of menu possibilities. 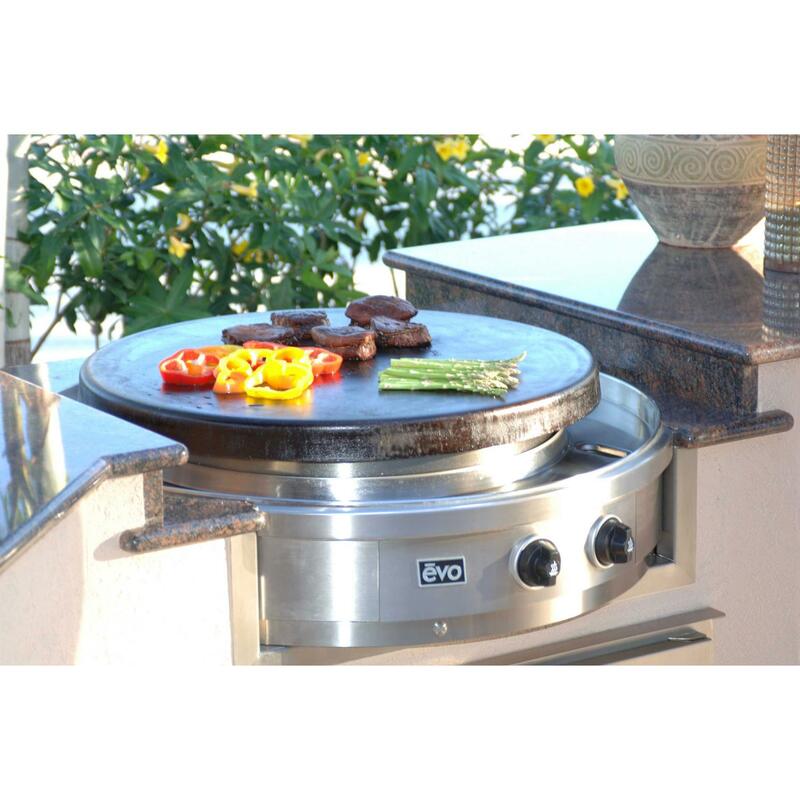 Heat is delivered to each burner via separate inner and outer control knobs. 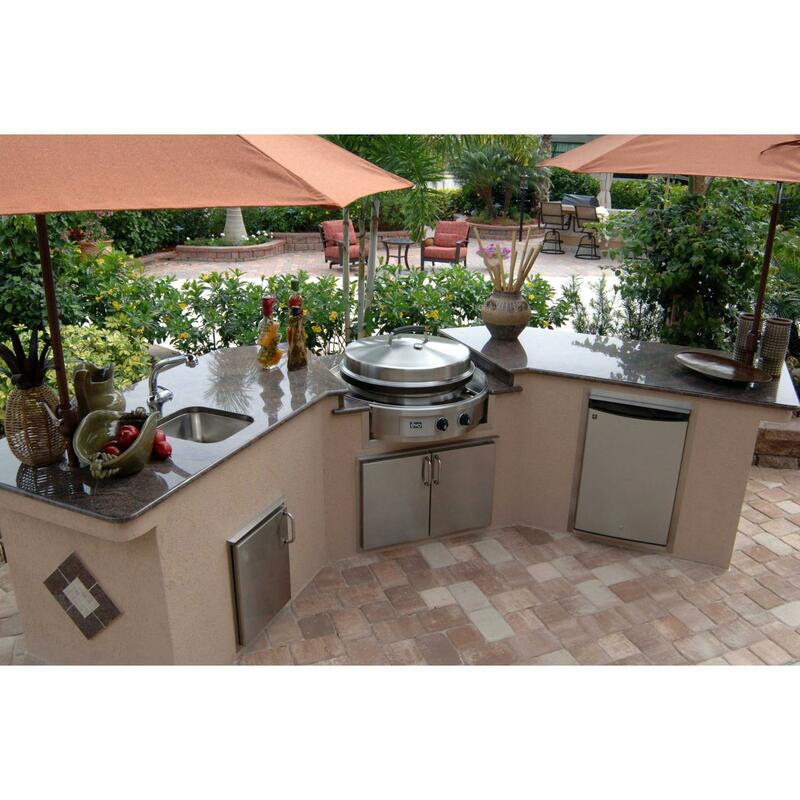 Edge-to-edge even surface temperatures range from 225ºF to 550ºF (121ºC to 288ºC) from the center to the outside edge without the hot spots and temperature problems prone to traditional square griddles. 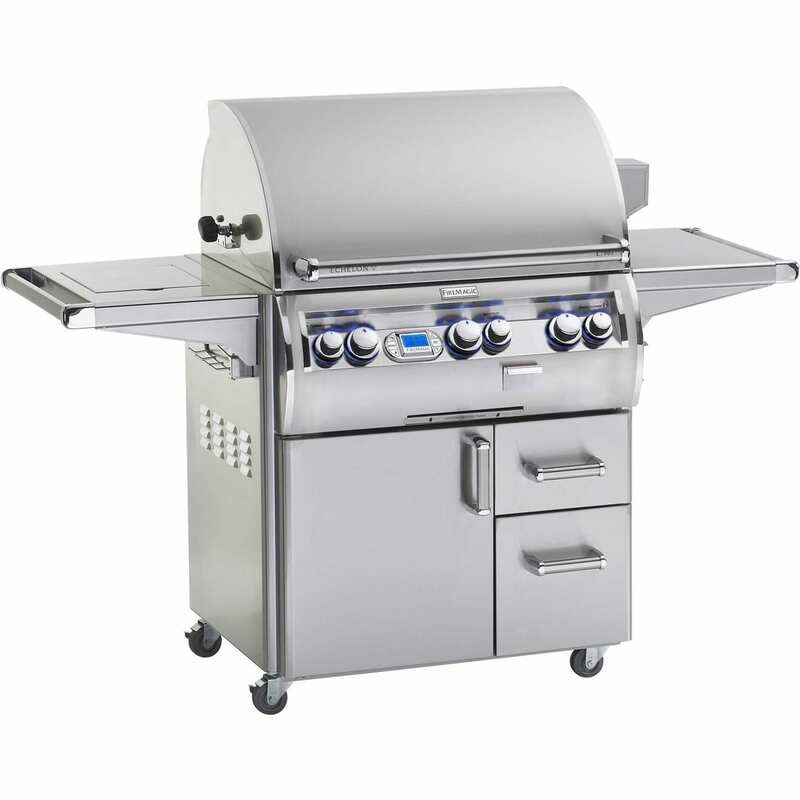 The burner system has a push button electronic ignition system which ignites both burners simultaneously. 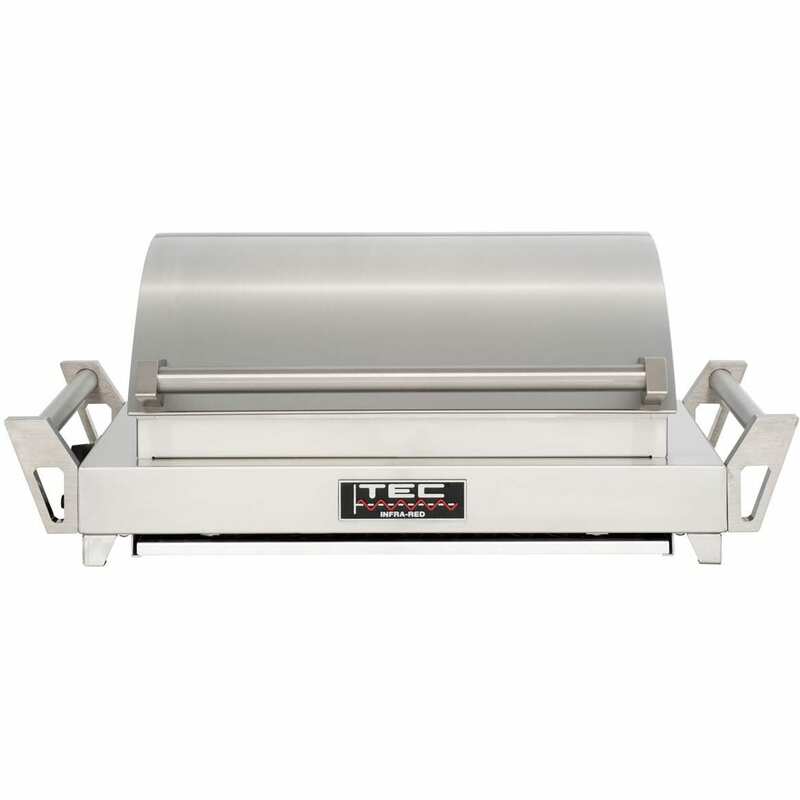 A stainless steel drip pan completely surrounds the underside of the cook surface catching all food debris. 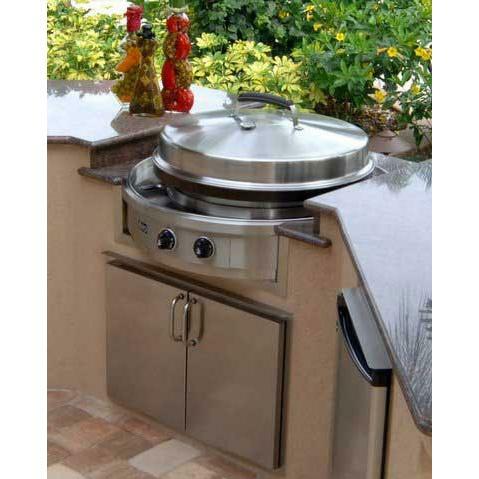 Separate spill over trays that contain and hold drip pan debris are concealed in front doors at right and left side of the control panel. 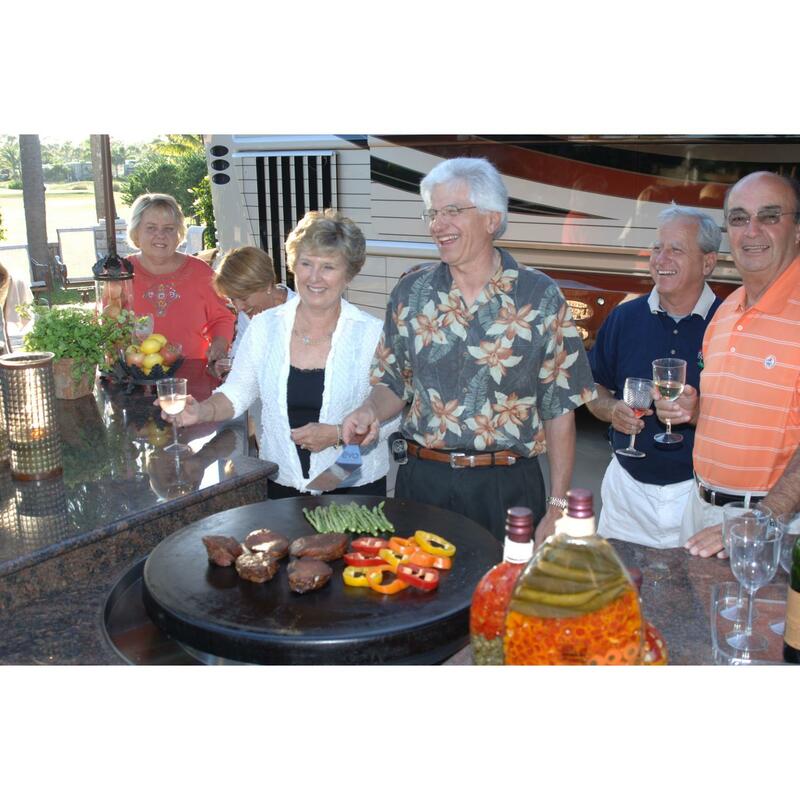 Operating on either Natural Gas or Propane LP Gas, the Affinity 30G Cooktop is an ideal solution for creating a social cooking space with any outdoor kitchen.